Ainslie Bullion recommends Reserve Vault in Brisbane for the ultimate in secure storage of your bullion. Why Reserve Vault? Diverse range of storage options from extra small to extra large safe deposit boxes (2 – 22kg) to purpose built Small to Large Bullion Locker Safes (100 - 500kg) to Chubb High Security Safes (2t)….All within a vault. We find a number of customers like the dual benefit too of having an offsite, secure, fire resistant environment to co-store their precious records, documents, collectibles and data in their safe as well. 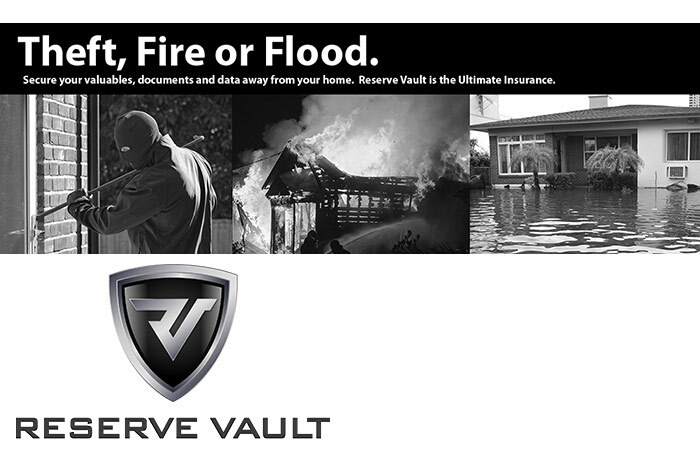 Reserve Vault also offers a Custodial service that sees them manage your storage, provide full insurance, and regular inventory reports for SMSF audits etc. Reserve Vault has been under new ownership and management since August 2012 and Ainslie Bullion has the majority shareholding in the company bringing with it our 40+ years’ experience in precious metals and customer focus.